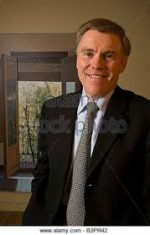 Kerry K Killinger (born June 6, 1949, in Des Moines, Iowa) is an American businessman and a former chairman and chief executive officer of Washington Mutual, a failed savings and loan association that became the largest bank failure in U.S. history. Killinger received his education at the University of Iowa, from which he received his BBA in 1970 and MBA in 1971. He began his career in the financial services industry in 1972, as an investment analyst with Bankers Life Insurance Company of Nebraska, and moved on to Murphey Favre in the 1976, at which he was a securities analyst and eventually a vice president. Faced with mounting losses from the mortgage market and deep declines in the stock price as a result of the subprime mortgage crisis, the board of directors removed Killinger as CEO on September 8, 2008. The Office of Thrift Supervision (OTS) seized Washington Mutual’s banking divisions on September 25, 2008, and named the Federal Deposit Insurance Corporation as their receiver in the largest bank failure in the history of the United States. While CEO of Washington Mutual in 2007, Killinger earned a total compensation of $14,364,883. In 2008, he took home $25.1 million in compensation. Killinger received a $15.3 million severance payment in September 2008 “as well as a $445,200 lump-sum payment for vacation benefits and a $300,669 ‘special payment'”. In March 2011, Killinger and two other bank officers were sued by the FDIC for “reckless lending”.